The Speaker of the House of Representatives, Mr. Yakubu Dogara, has called for the review of the security architecture of the country in order to stop wanton killings in Nigeria. East, North West and some parts of the North Central of Nigeria. as citizens are looking up to us. 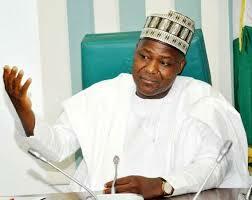 lives, national pride and prestige,” local media reports on Friday quoted Dogara as saying. lose as it is tantamount to loosing civilisation. participation in the campaigns in view of the forthcoming elections on Feb. 16 and March 2.
respect for the laws of electioneering campaigns. the elections; and above all, the sustenance of our democracy. which demand that we judge ourselves before judging others,’’ he said.